After about say 60-80 meters of walkways, we arrived at a gate and entered what was a fairly large compound at the edge of the sea. 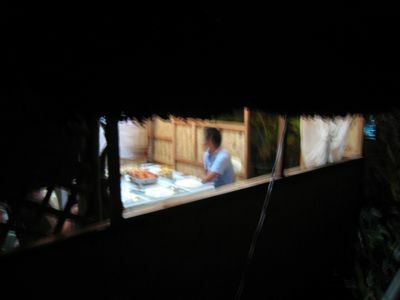 They had the prime location with direct sea views and in addition to a large home, they had a small nipa hut for meals. Fantastic! I am increasingly of the mind that life is about collecting various experiences and this is definitely one of those that make it into the personal album of meals… Already laid out on the table where several medium and small sized steamed lobsters. Purchased alive earlier in the day from a seafood dealer, our hosts explained that these were typically “put to sleep” by immersing them in really cold water, then wrapped and airfreighted to Manila and international destinations like Hong Kong and Taiwan. The lobsters were superb, perfectly cooked and served with lots of melted butter. Several lobsters were oozing orange coral… Yum! Where was my gout medicine when I needed it?! 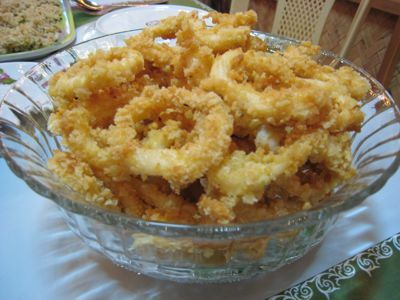 We also had a massive bowl of calamares that had tender meat yet the crispest of skins, aided by some Japanese panko or breadcrumbs. There were medium sized prawns in some tomato sauce and green chillies. 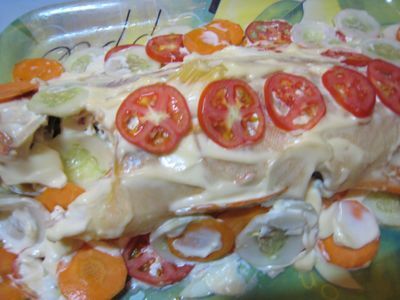 A large lapu-lapu (bought alive and flipping) that was served slathered in mayonnaise. And some fried rice to be enjoyed with all of the above. With several bottles of ice cold San Miguel Light, it was a terrific meal. Many thanks to Emie and Beth, our generous hosts for the evening, for sourcing all of this wonderful seafood and cooking it so nicely. And to Tonette, for arranging for this dinner. Maraming Salamat! Life is not fair. Why am I stuck in a winter wasteland where the only thing “fresh” I get is another inch of snow? I’m going to make up for this when I get home this summer. wow…that’s all i can say. wow. sarap. MM – how blessed are you to partake of such rich meal !! nakakaingit talaga !! that is more than what i can handle…looks delish! talaga namang kakainggit. fresh and clean tasting is the way to go! what about an EB in Palawan, MM? Yummmmm….I think I’m actually more envious of this meal than of your Per Se experience. Wow!This is my dream dinner!I just love seafoods at their simplest!Not much frills but you can taste the sea!So fresh!You’re one lucky man MM! I am committing a deadly sin right at this very minute… ENVY. I have always envied your dining adventures MM, but this one tops it all. So simple and yet not a lot of us get the chance to experience something like it. Wow, talk about fresh bounty from the sea. It must be really nice to hear the waves, feel and smell fresh salty air while digging in to the seafood galore. Five lucky men, I say! Too bad the Lapu-Lapu was overly drenched in mayo — I prefer mine simply steamed and covered by its natural juices or with only a hint of lemon and ginger. Anyhow, the dinner spread looked coma inducing. Good times. ukis ti saba. Im drooling here! :D Great find MM! Look at the deep orange color of that lobster coral. Aiiiyyy, must have aligue and rice tonight! Envious? Me,too! but really you deserve the best,MM! your sooo lucky MM. ditto the sentiments of many here. would trade these experiences over pricey gastronomic palaces anytime! MM, how do you expect me to “modify my greed” with these..
Tama Na! Sobra Na! Nakakagutom talaga! Oh my goodness, how I miss the food over there. I am Irish and I spent 4 years living in Cebu. I miss the people, sun, food and beaches. Not to mention the Shangri La Hotel and the fabulous buffet where you can eat all you like and still come back for more. Oooh.. found you on http://whatsikat.com and this spread looks absolutely yum! kakagutom. and i know what you mean when you say that it’s just for five people but there’s enough for another half dozen– pinoy hospitality! Just two words WOW and Yummy…The lobsters looks very fresh and the color was really nice. 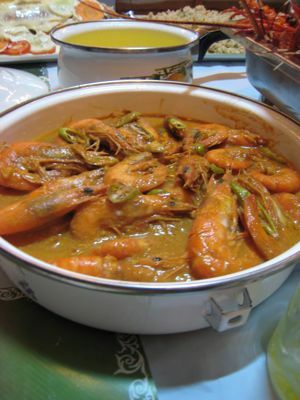 I love seafoods and this entry made me envious and hungry :) Thank for sharing! Life is really unfair… when I was a kid I used to enjoy eating all the seafoods that’s available in the market (my parents are into seafoods business) Steamed lobster, shrimps in chili garlic sauce, sweet and sour lapu-lapu, calamares, fried tilapia, boneless bangus and not to mention steamed crabs. But now that I have gout all I can do is reminisce on those eat-all-you can seafoods in our house. If I were to die tomorrow I wish to eat all those seafoods that marketman featured on this post… but then again I would rather look at the pictures than eat those and suffer the pain of gout… hay! Yea, I like MarketFan idea “How about Eyeball in Palawan?”. I’ll be home in Sta. Rosa, Laguna on the 23rd of March until the 26th of May. Los Angeles is driving me crazy!! Its like winter here in San Diego today (Feb 19, 2008) Cold and dark cloud!! Palawan is a better place to soak in crystal blue water and sleep under the canopy of palm trees. Your generous and helping heart you deserve the best of the best dinner that is a feast fit for a king! 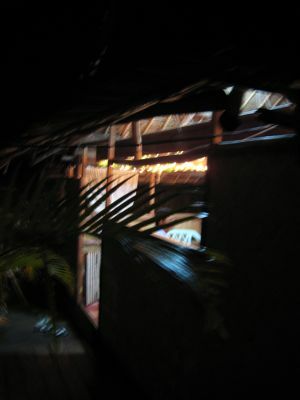 Your dining experience is as broad as the horizon from Pagudpud up through the coast of French! Hi MM, just ate a big dinner in one of the best barbeque place here in Knoxville TN but when I saw those fried rice and seafood whoa!! i feel like eating my monitor! Terrific indeed! 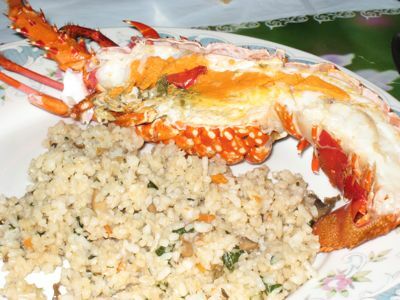 Made my mouth water just by looking at the pictures, specially the lobsters! I’m so jealous of you MM!! !I’m a biG seafood lover, and I wouldn’t mind having this kind of meal for breakfast, lunch and dinner! Yummy-looking photos! The lobsters and the calamari looks so delicious! ang sarap naman ng mga yan! kakamiss na umuwi sa pinas! :) SARAP! I will be going to Coron later this year and bringing along some friends. I’d like to treat them to something like this. How much does this meal cost? Charlene, this was done in a house. 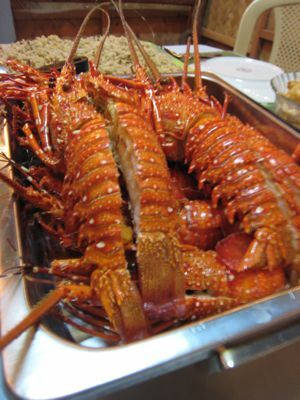 But if you hit the market and buy the stuff yourself and have the cook at your hotel cook it, it should ran from PHP1,500 to PHP2,500 depending on the lobsters which are the most expensive component.